Situated on the R27, this private game reserve is located in the heart of the West Coast, a malaria free zone. Offering magnificent wildlife and superb South African scenery, visitors are assured of a memorable experience. Visitors can expect to see the following wildlife on a drive: Lion, Cheetah, Rhino, Buffalo, Giraffe, Blue Wildebeest, Red Hartebeest, Kudu, Eland, Oryx (Gemsbok), Bontebok, Springbok, Duiker, Steenbok, and Caracal. Game seen less often on a drive include: African Wildcat, Bar-eared Fox, Cape Fox, Genet, Grey Buck, Mountain Reedbuck, Porcupine, Aardvark, Aardwolf, and Honey Badger. A good catch is almost always guaranteed and besides a lot of laughs, you can be assured of a memorable day while fishing in Langebaan on the West Coast. The Pentz Family have revived the winemaking traditions of a past era on this historic 18th century farm situated on the Cape’s West Coast. The unique aspects and cool climatic conditions of the Darling Hills yield superlative fruit and the wines produced reflect the uniqueness of these vineyards. Thandeka Stables are situated in Melkbosstrand and offer horse riding for novices and seasoned riders in some of the most beautiful parts of the area. With over 40 years experience, Thandeka Stables’ owners ensure a safe and highly enjoyable experience. Horse riding for the disabled and specialised equine therapy is also available at the Thandeka Stables. 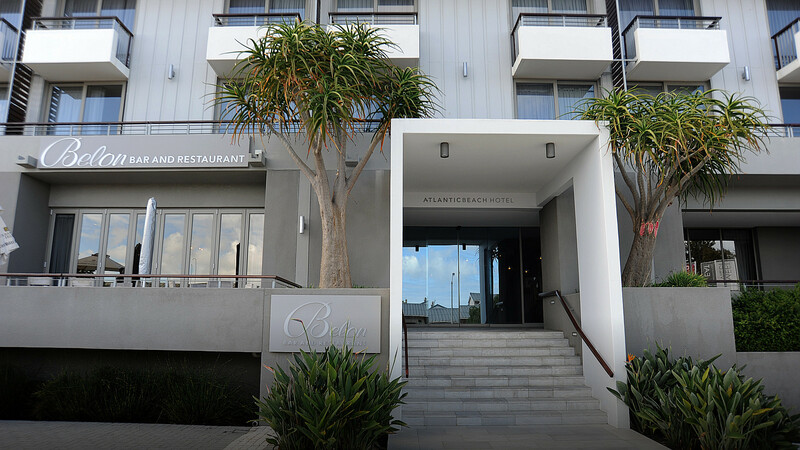 Just 10-minutes from Melkbosstrand, the beautiful Blouberg Beach, also known as Bloubergstrand and Blaauwberg Beach, offering picture postcard views of Cape Town and Table Mountain, is renowned worldwide for its idyllic kite surfing conditions. Eskom controls approx. 3 000ha of West Coast land around the Koeberg Nuclear Power Station. In keeping with both Eskom’s environmental policy and national conservation trends, Eskom has opened the property to the public. Grysbok, Steenbok, and the larger Duiker are examples of buck species in the area and Bontebok and Springbok have been introduced. In addition to the game viewing opportunities, the Nature Reserve boasts an array of indigenous flora which can be appreciated along the walking/ running/ bicycle trails found criss-crossing the Nature Reserve. Located off the N7 motorway, the Cape Town Ostrich Show Farm offers informative and interactive experiences with these unusual looking birds. The 40-minute tour not only takes in the ostriches, but also the museum and Ostrich leather factory. Experience the challenge, the workout and the essence of surfing all in one package. You’ve likely heard of surfing, kite surfing, and windsurfing, but has stand up paddle surfing splashed onto your radar? With roots that reach far back into Polynesian past, supping, or paddle boarding as it is more commonly known, is now one of the most explosive water sport crazes the world round and available just 10-minutes from the hotel at Blouberg Beach. Quad biking has become a hugely popular adventure activity and not only for nature lovers. Of course quad biking takes you outdoors, but people use quad biking for team building, corporate events, parties, family outings, and any type of fun one can think of. Just about anyone can do it; from kids to grannies, quad biking is tremendous fun. A 10-minute drive south from the Hotel along the R27 is all it takes to access the drop zone that boasts one of the best views in the world from altitude. The West Coast National Park stretches from Yzerfontein up to the edge of Langebaan and surrounds most of the enormous Langebaan Lagoon. Situated approximately half an hour’s drive from the Hotel, the West Coast National Park is a water sports enthusiasts paradise offering kayaking, snorkelling, and some of the best windsurfing and kite surfacing experiences.